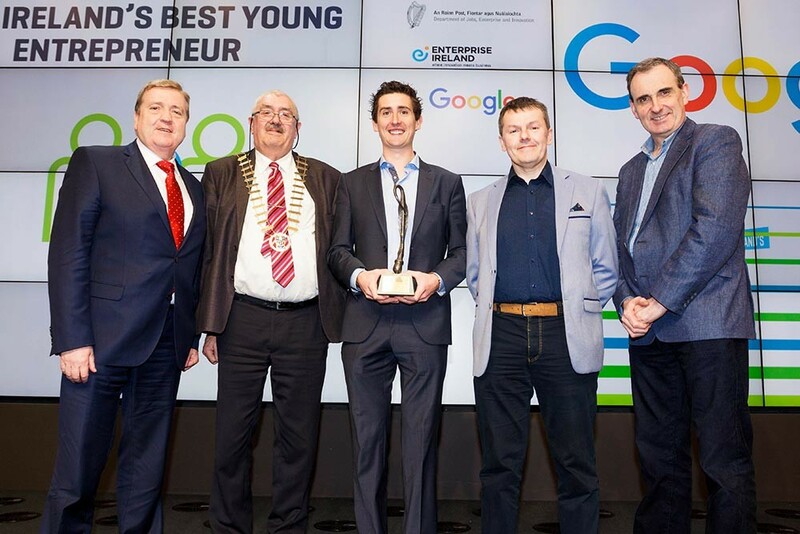 A 35-year old businessman from Scarriff who developed a smart connected office chair (Agilis) for athletes that helps to reduce muscle tightness and back pain has been named as a Runner-Up in Ireland’s Best Young Entrepreneur (IBYE). 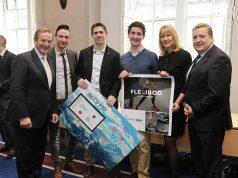 Damien Mason of FlexiBod, representing Local Enterprise Office Clare, was runner-up in the Best Business Idea Category (pre-trading) having already won the coveted title at the IBYE Regional Final during February. Minister for Jobs, Enterprise and Innovation Mary Mitchell O’Connor, T.D., made the announcement in front of 360 guests at the IBYE national final held at Google’s European Headquarters yesterday (Sunday 5th March, 2017). The overall competition was won by Ciara Clancy of Beats Medical, a company which has developed an app that is transforming the lives of thousands of people with Parkinson’s disease. The competition, which is supported by the Department of Jobs, Enterprise and Innovation and Enterprise Ireland and run by the 31 Local Enterprise Offices, attracted entries from over 1,800 18-to-35-year-olds, showcasing some of the country’s best and brightest business talent. 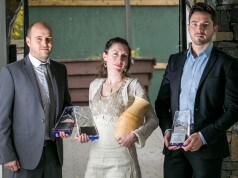 The judging panel was chaired by Paddy Flynn, Director of Trust and Safety with Google. 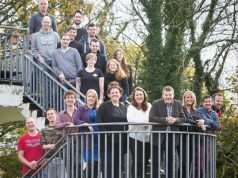 The other members of the judging panel were Eugene Forde, Department of Jobs, Enterprise and Innovation, Orla Martin, Head of Enterprise, LEO Offaly, Niall O’ Donnellan, Enterprise Ireland, Brian Crowley, CEO, TTM Healthcare and Sarah Doyle, CEO, Kinesense. Broadcaster Claire Byrne acted as MC. 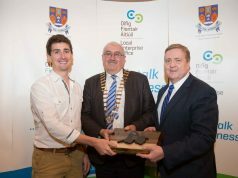 The IBYE national final took place on the opening day of Local Enterprise Week, which runs nationwide through Local Enterprise Offices until March 10th. 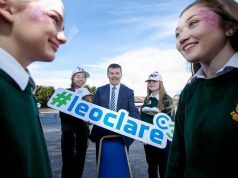 Clare Local Enterprise Week is funded by Local Enterprise Office Clare. Most events are free but a nominal fee applies to training workshops. Pre-booking is essential as available places are limited. Further details from www.localenterprise/clare or 065 6821616.